Home › To-do › Kids › Let the Adventure Begin! Today’s kids are smart and ‘cool’ in so many ways, yet they’re almost prisoners to the indoors. With the wooing of all kinds of technology mesmerizing them, they often don’t get to discover the wonderful outdoor world out there. 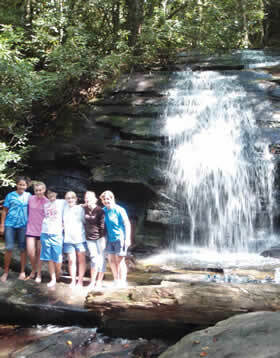 And some of the most fascinating outdoor draws for north Georgia kids and their families are the walking trails by mountain streams where they can learn close-up about nature. 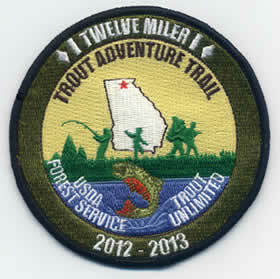 Thus, with The Trout Adventure Trail® let the adventures begin. A well-designed do-it-yourself hiking experience to fascinate kids of any age is in place as a result of a partnership between United States Department of Agriculture Forest Service and Trout Unlimited, which is a national conservation organization. 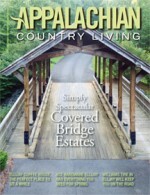 Hikes take place on the legendary Appalachian Trail and the Benton MacKaye Trail. The latter trail name is named after the founder of the Appalachian Trail, which was established in 1925 in Maine, and ended in north Georgia at Spring Mountain in the 1930s. Hikers can hike on one or both of these trails depending on the route and experience desired. They do not have to choose one or the other. 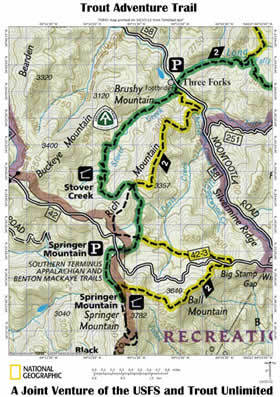 The designated trails are located in the Trout Capital of Georgia, Fannin County, and neighboring Gilmer County. When the wilderness is spoken of in Gilmer and Fannin Counties, at this southernmost end of the Appalachian Trail, it’s describing outdoor magnificence. This description includes the abundance of nature’s beauty that encompasses the hiking trails of the Chattahoochee National Forest. Springer Mountain is the southern terminus of the Appalachian Trail, where the Appalachian Trail and Benton MacKaye Trails converge and cross, making the opportunity for varied day-hikes. Between Three Forks and Springer Mountain the trails cross trout streams several times on the upward climb to Springer Mountain’s top. Then, below Three Forks is another pleasant trek beside a spectacular waterfall. The opportunities for hiking thrills seem endless and probably are so. One hike on the trails is probably not enough. You’re likely to be enticed to return again and again; after all its nature at its best: awesome beauty, a grand experience of legend, and true adventure all wrapped up in one amazing package. Hikers hold their breath as they “aah” at the wonder of a waterfall (kids love having their picture taken by the falls), enjoy the mountain range views, hike along bubbling trout streams, and learn about trout habit and watersheds, plus earn that patch for achievement while having all this educational fun. It’s the epitome of nature’s outdoor classroom. As TroutAdventureTrail.org sums it up: hike-learn-earn. Then, listen up, all this trail hiking, learning, and patch earning is for free. Absolutely no fees are associated with this outdoor adventure. Warning! Whether you’re an adult or kid when you get onto the TroutAdventureTrail.org website you’ll get hooked for adventure. After reading about what all these hiking trails and the program offer, you’ll really want to start making plans to go hiking. Though the Trout Adventure Trail website contains much material to assist the hikers about trout, their habit, watersheds, flora and fauna, modern forestry and the like, it’s the hands-on activities that fascinate the kids. They can learn about nature and science with the simplest of experiments such as testing the water temperature of the trout streams. There are two different patches that kids and adults alike earn as a reward for their hikes: The USDA Forest Service –Trout Unlimited, Trout Adventure Trail or the Twelve Miler. The latter patch is earned by hiking the entirety of the designated trails, totaling over twelve miles. This feat can be done on one trip or several, depending on the abilities and preferences of the hikers. These outdoor mountain hikes are not structured; however, they are safe–and the very sense of being unstructured gives kids a larger feeling of freedom. They don’t even realize that they’re in a classroom. But, then, it’s the same for adults because it’s fun! That’s how it is with nature’s classroom. For kids of all ages, there’s nothing like hands-on experiences to keep the hikes as happy, interesting, and meaningful memories. And at just about equal distances and time (about 45 minutes) from the hiking sites are the interesting towns of Blue Ridge, Blairsville, Ellijay, and Dahlonega, all surrounded by the pristine national forest. Examples of added fun-while-learning during a hike is hike planning, map reading, outdoor safety, “leave no trace” education, photography, forest habitat, species identification, and lots and lots about trout since Fannin County is the hub of Georgia trout fishing , and not to be left out: outdoor forestry careers. The Blue Ridge Mountain Trout volunteers were true visionaries when they saw the need to create Trout Adventure Trail, a brand-new program that went into effect in November 2012. Parents, home schooling groups, teachers, youth group leaders, scout leaders, summer campers, day campers, all find that these hiking, learning times fit hand-in-glove with the kind of education they want for children: the combination of learning, interest and fun in an unbeatable all-in-one package. Certainly, mountain hiking can be termed the ultimate field trip—one that provides achievement goals for students. And, who knows, perhaps some of the youngsters will develop an interest in forest conservation or as a professional forester.